Momma Told Me: Dental Inlays, Bunches Of Birthdays, And Printable Coupons, Oh My! 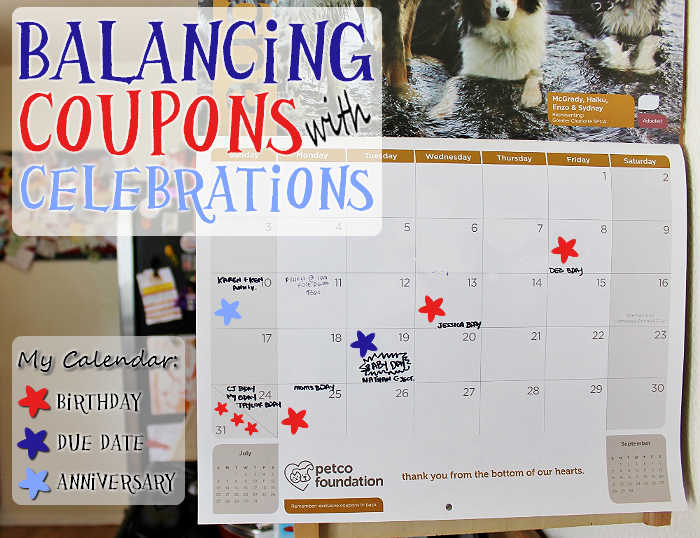 Dental Inlays, Bunches Of Birthdays, And Printable Coupons, Oh My! Momma Told Me: Life is a balancing act. Oh August, I have a love/hate relationship with you. In my circle of friends and family August might as well be December; there are anniversaries and birthdays galore. Ironically, every time my family grows, through marriage or birth, it seems we add onto the calendar in this month. It began when Momma married into Pop's family. At that time it was a relaxed 2 birthdays, hers and my Aunt. Then my Aunt got married in August and an anniversary was added. Then I was born just minutes before Momma's birthday (her O.B. said they'd never seen someone push so hard to meet a deadline,) that woman was NOT sharing birthdays with me! A few years later my cousin was born on my birthday; and ever since we've had nieces and nephews, 2nd cousins and in-laws, adding to the calendar of events. Some people spend an entire year bracing their checkbooks for Christmas, I prepare for August with my knowledge of how to use coupons. This year I thought I was prepared. Even though my cousin was set to give birth via C-section on the 19th, I figured I had plenty of time to prepare for baby showers and birthdays. Then the first week of August rolled around and I found the perfect opportunity to pull out my savings and reward myself with a brand new phone. Not only had I been putting money away for the better part of the year, but it would serve as an early birthday present to myself. As the pangs of guilt set in, watching all of those important dates auto-populate in my digital calendar, I decided I would have to make the purchase a little more practical. So I hit the APP store and downloaded any savings tools I could find; including the Walgreens Mobile Application complete with time savings function like (Pharmacy) Refills By Scan, access to Weekly Ads, and even communication with the local Photo Department. I'd almost forgotten I'd even downloaded the app until I was sitting in my dentist's chair, looking at another $900 in work, just a week later. Not only were the month's important events days away, but my monthly budget had grown even tighter in just a single X-Ray. I wish I could say I had the time of my life, but by the time I got out of that chair, 5 hours and 3 dental inlays later, my face was half numb and so was my pocketbook. Luckily I stumbled outside and realized I was quite literally at the corner of preparing for those last minute occasions. And I didn't even have to move my car- how's that for convenient! As I walked into the Walgreens, where some of the employees know my name, I saw the weekly circular and was reminded that I could now browse all of the week's sales online through the mobile app. Even more exciting, I could pair my Balance Rewards account directly to the application and clip digital manufacturer's coupons without ever lifting a pair of scissors. 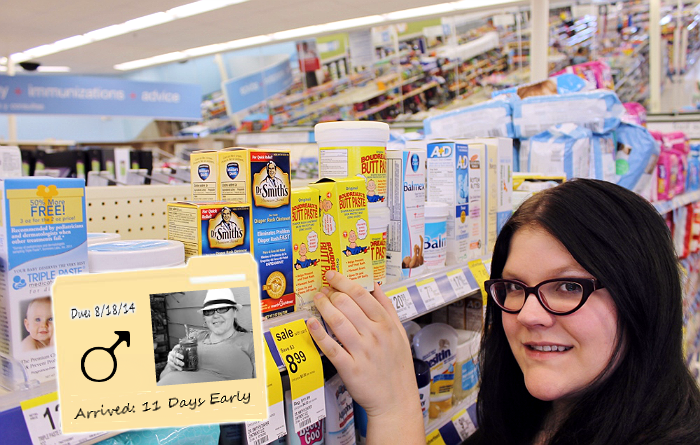 I was especially excited about this time saving feature; any frugal shopper knows that coupons come and expire like milk, and it's hard to keep up with the best and current savings. 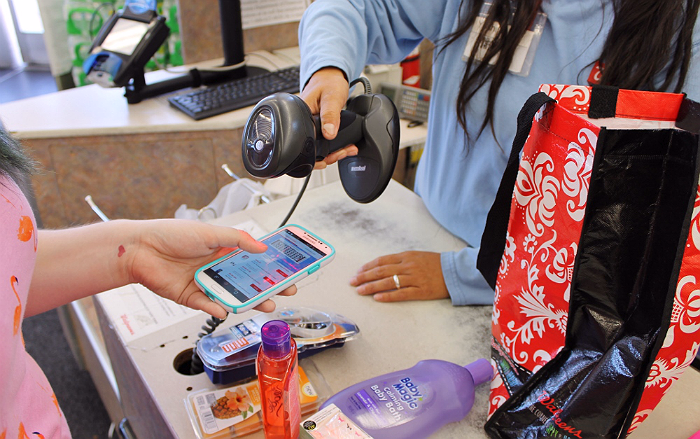 Armed with my new phone, and shiny Walgreens app, I made a beeline for the gift and prepaid card station. 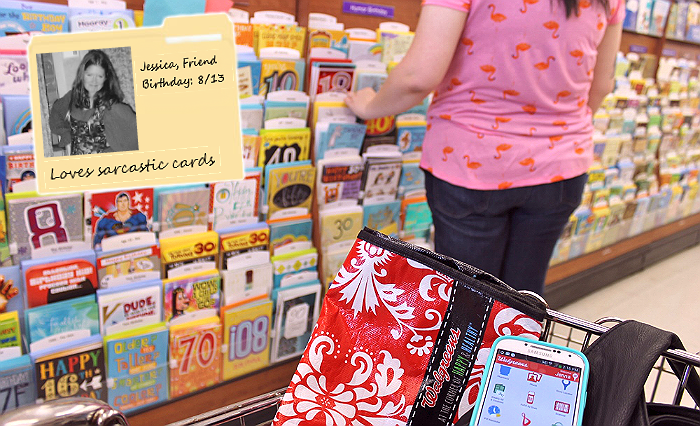 Did you know you can but a last minute gift for anyone on your list at the gift card station in Walgreens? You can even buy a re-loadable Balance Financial Mastercard for loved ones living far away; and right now there's an exclusive #WalgreensPaperless coupon to offset the affordable activation fee! Just around the corner were the aisles of gift cards; a necessity for everyone on my list, and a home goods aisle stocked with an electrical section. I already knew I wanted to make Momma a wine bottle lamp for her birthday, and I was excited to see I could save on GE light bulbs with yet another paperless coupon! We always seem to run out of spare lights at the most inconvenient time, and find ourselves in Walgreens grabbing a replacement after 10PM, so this aisle was no secret to me, but the savings were! An ice cream birthday cake, of course! For the first year I will not be making myself a cake, instead I will be indulging in an individual cake made just for me. No guilt over cutting into hours of my work, not shame in eating every last bite without sharing a single slice. But, best of all, I will be smiling this August 24th knowing I survived yet another year of birthdays and bashes with my pocketbook in tact. 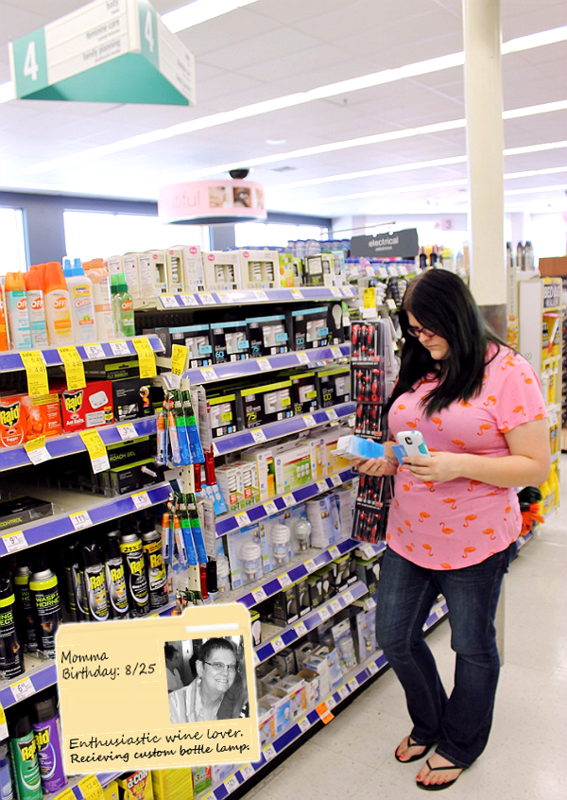 And, if I happen to forget the candles for my cake, I happen to know a pretty convenient place at the corner of paperless coupons and pure awesome, that is sure to have some waiting for me! How do you save time and money when caught of guard with special events and occasions? What Daughter Says: Always make sure, when balancing, you are part of the act! 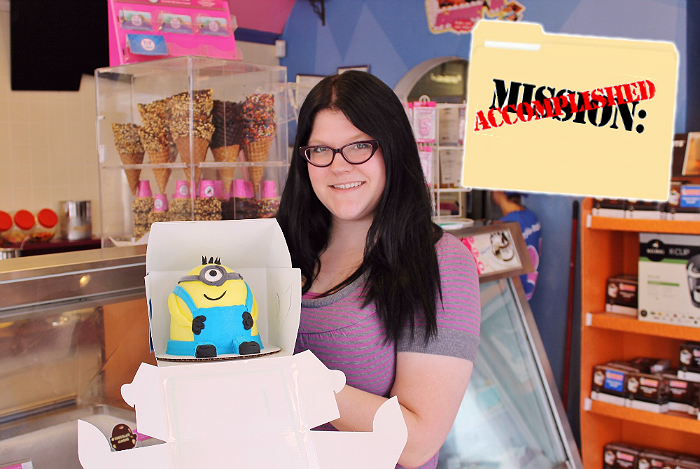 Looks like you have everything under control over there ;) And that minion cake is AWESOME. I don't normally save money when I'm caught off guard. I usually end up paying more, but I'm glad there is a way to save. Thanks for sharing. Just another reason why Walgreens is an amazing place to shop. When we're caught off guard, it is usually too late to worry about saving. But when we have time to plan, we're all over it. I love all of the savings Walgreens offers. That minion cake is so cute! I try to save money when I can but not very good at it. That is an adorable cake, it would have been hard for me to cut into it. I love saving money whenever and wherever I can! 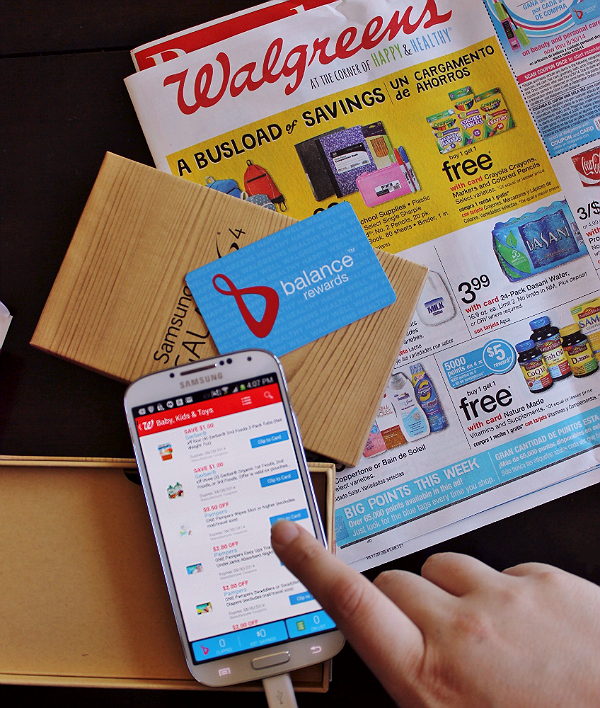 I love the paperless coupons at Walgreens, that helps a ton! That is a great option since I can't remember to take coupons if I ever print (which is rare). Love the minion cake! 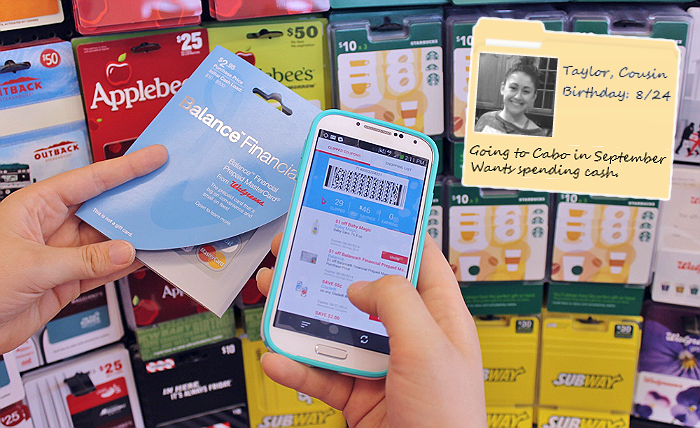 I find it SO much easier to use paperless coupons! This is one of the reasons I love Walgreens. I love having my flyers on a mobile app. Much easier to price match on the go and less paper to deal with at the cash. Canada is just starting to get mobile coupons and I can't wait until it has caught on. I am all about saving where I can. Why spend more then we have to. Life is expensive enough. How cool is that! I love that it's as easy as scanning your phone to save. I love that minion cake! And I also love how easy Walgreen's makes it to save. I knew there was a reason I liked shopping there so much! Those moments can be the worst. But it's nice to still go out of your way! Wow! I am terrible at saving money when not planning ahead. Your post is motivation for me! I will have to check out Walgreens more! Wow... seems like you have everything under control... I have yet to try the Walgreens app but can't wait. I love Walgreens. They have everything there, which is impressive, considering their stores aren't huge. Walgreens is great. It's amazing how much stuff they can pack into a smallish store. Whenever I go there, I never worry about finding what I need. Love the cake! !I am often caught off guard with special occasions. I try so hard to be organized but it never seems to work. The cake is adorable! The paperless coupons are such a huge hit with me. I love that they are so convenient. Love this concept of not having to print coupons! Saves money on ink and paper. Man, what a day and that cake! Love saving at Walgreens too! LOL at the corner of!! Too cute. I really need to get that app - and love that cake! Paperless coupons are a life changer, aren't they?? LOVE... And, that minion cake... I die! That Minion cake is ADORABLE! And that's funny about your mom not wanting to share a birthday. My mom's birthday is 4/25, so is her nephew's, and now her nephew (my cousin) just married someone whose birthday is 4/25. Craziness. We are big Walgreens fans and do most of our healthy and beauty related business there. Love thier savings. I rely heavily on apps and store savings as well. Love that you can just have the bar code scanned on your mobile device. That cake is AWESOME! I swear I'm at Walgreens once a week. I save money by trying to plan ahead. Buying presents and cards ahead help this! I love Walgreens, I always save money when I visit them and I like their app. Love the Minion cake..so cute! I'm terrible with paper coupons because I forget them. Having them tied right into my app means I won't forget them EVER. I wish we had a Walgreens close by! I keep seeing people rant and rave over this app and I'm jealous! Your August is like my December - I have 4 birthdays in addition to Christmas over the month into the 1st. Crazy times. 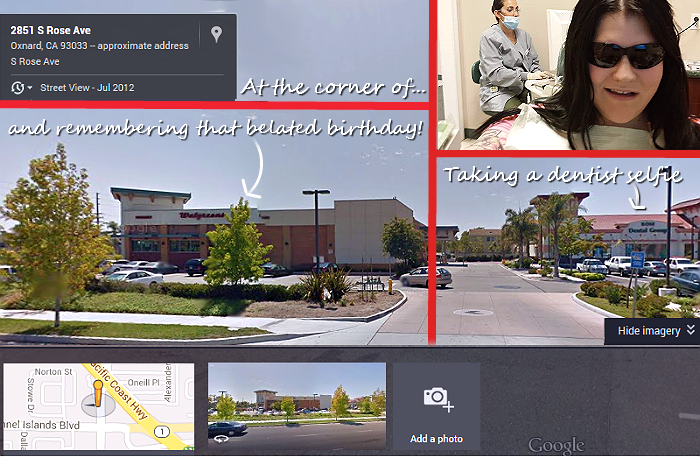 I am so in love with the new Walgreen's app! It is so easy to find coupons! I also love the health prat of the app that counts my steps! It is so awesome! That cake is adorable! I want! Yeah for the Minion Cake! Boo for all the Dental Expense. Yeah for your birthday! And super yeah for Walgreens coupons on your phone! I hate dental costs too! They are certainly not the highlight of life, but that cake sure is cute! This was a very well written and very informative post. I especially fell in love with the Minnion cake. Thank You so much I am so glad I read this and I did learn a lot. Love Walgreens! And the minion cake is ADORABLE! It looks like you chose some great gifts. I bet that cake was more amazing, we all need a break now and then. I love walgreens, my favorite part of the store is photos. I love stocking up on photo prints.